True to the South West’s reputation for producing some of the finest food and drink in the world, small distilleries are creating hand-crafted batches of the best artisan gins. The gins are the essence of the beautiful West Country landscape, blending crystal clear spring water with aromatic botanicals. Evening on the terrace looking over the sea with a heavy tumbler beaded with condensation and sloshing with interesting gin, a splash of tonic, ice and a slice is a special time of day down here. 2016 celebrated the opening of a new gin distillery on the waterfront of South Devon’s most fashionable nautical town. From this March you can even go back to school at The Salcombe Gin Company to create your own magic in a mini still – education never looked more inviting! Located on the first floor of a boathouse, the distillery has a gin bar (the Salcombe & Tonic with its slice of ruby red grapefruit is highly recommended) plus moorings for seafaring visitors. And of course, you can’t leave without a bottle of Salcombe Gin: super smooth with citrus flavours from fruit hand-peeled every morning. Each batch of just 65 bottles is inspired by the 19th century Salcombe fruit schooners which brought citrus and spices to England from the Azores, West Indies and Mediterranean. 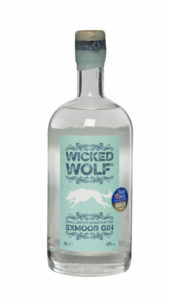 A new gin produced by the Dartmoor Distillery using moorland spring water and botanicals from Widecombe-in-the-Moor in the heart of the Dartmoor National Park. Eighteen botanicals are combined with the best English wheat spirit, giving a flavour of juniper berries, orange peel and lemon peel and a premium strength of 46% alc. Only on its third batch and not easy to track down, but Jaded Palates in our home town of Chagford stocks it (plus other West Country gins and wines) and will deliver across the UK. Another Cornish gin and one of the first to be distilled in the county for over 300 years. Handcrafted in a traditional copper still, its full-bodied complex flavour packs a punch and is down to 12 botanicals, some of which are a closely guarded secret. Cornish spring water, organic English grain, juniper berries from Croatia, coriander seed from Spain, cassia bark from China and orris root from Morocco make itworld-class. A slice of lime and twist of grapefruit peel are the perfect complement to the hint of sherbet. ‘The spirit of Exmoor’ is produced in a copper alembic still on the banks of the River Lyn, using 11 exotic botanicals, from traditional juniper and coriander to hibiscus and kaffir lime leaves. Blended, filtered, bottled and labelled by hand in 25 litre batches, it’s smooth and full bodied with a 42% alc. content. For a twist on the traditional G&T, try this one with ice and lime over a sprig of thyme. Handcrafted by a family company on the north Cornwall coast, the magic of this award-winning gin is attributed to its flame-fired, copper pot still called Tamara, goddess of the Tamar. Fragrant Devon violets are coupled with earthy/woody juniper, lemon-sherberty coriander seeds, fresh orange, lemon and grapefruit zest, angelica root, orris root, green cardamom bitter almond, cinnamon and liquorice root to produce a flavour described as ‘stumbling upon a beautiful orange blossom in the middle of a crisp, dry pine forest’. We just know it tastes fine! 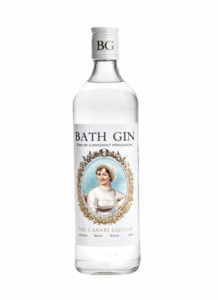 A modern, fresh gin with a citrusy, floral flavour created with women in mind (hence the winking Jane Austen on the label). The best place to sample it is at The Bath Gin Company, a five-storey Georgian building for immersing yourself in a truly gin-ful experience. The cellar is where the alchemy happens, a bustling laboratory and distillery. At street level the mixologists will introduce you to 190 different gins in the Canary Gin Bar, or head upstairs to the Martini Bar for gin with a twist. 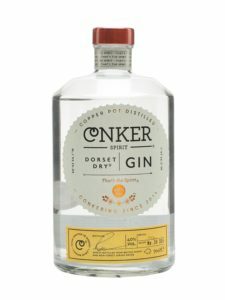 Produced by Conker Spirit, Dorset’s first gin distillery, this is a ‘proper’ classic gin with the impeccable pairing of New Forest spring water and British wheat spirit, blended with botanicals including Dorset elderberries and samphire and fragrant golden hand-picked New Forest gorse flowers. Creator Rupert Holloway exchanged a career as chartered surveyor for alchemy in an old Victorian laundry. The result is a bright, refreshing gin which needs nothing but a smash of ice as companion. Not a young artisan distillery, but we can’t extol the virtues of West Country gins without a nod to their venerable grandfather, the Blackfriars Distillery, the oldest working gin distillery in England. Located in a 15th century building in the historic Devon port city of Plymouth, it’s been the working home of Plymouth Gin since 1793. You can take a guided tour of the distillery, or treat yourself to a special Gin Connoisseur’s or Master Distiller’s Tour. Plymouth Gin was Winston Churchill’s favourite and its deep earthy notes and lemony finish still win international awards. You may want to swerve the historic sailors’ celebratory drink of Mahogany though – Plymouth Gin beaten into warmed black treacle. We hope you’ll join us to sample the deceptively simple gins of the West Country soon. Whether you take yours in a deep armchair by a cosy cottage fire or on the sunny verandah of a waterside haven, deciphering its hidden depths will be unadulterated pleasure.